How many times have you seen a project, decided to make the project, bought the materials for the project and then everything just s-i-t-s for a while? a long while? Maybe because you have other crafty things to do, maybe because you enjoy just staring at it everyday? Or maybe because you slowly start talking yourself out of beginning another project that you are not sure about. That's what happened with this project. 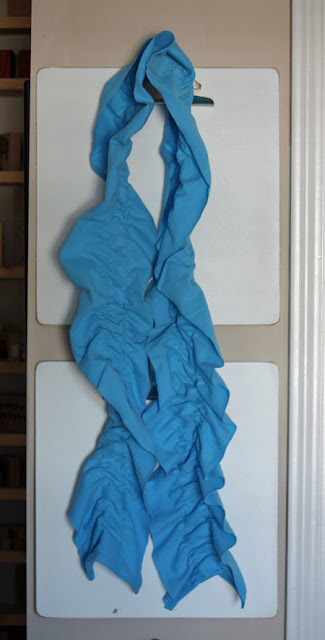 I saw a tutorial (somewhere out there in blog land) for an upcycled t-shirt scarf and fell in love with the design, not to mention the easiness of it (at least that was my first impression). But after I made the trip to the Salvation Army store to get the t-shirts, I talked myself out of sitting down at my sewing machine for fear that they wouldn't turn out because this technique was something I had never tried before. Well, for some reason, yesterday afternoon I was feeling ambitious and decided to just go for it!! I am so glad I did because they were so easy, so quick and really fun to make. Let me show you just what I'm talking about. Take a trip to your t-shirt drawer, or in my case, the nearest Salvation Army store (on half-price day) and get a large or extra-large sized t-shirt, plain with no design. Next, lay out your shirt and cut two large strips off of the bottom (get rid of the original hem first). I made mine 6 inches wide. 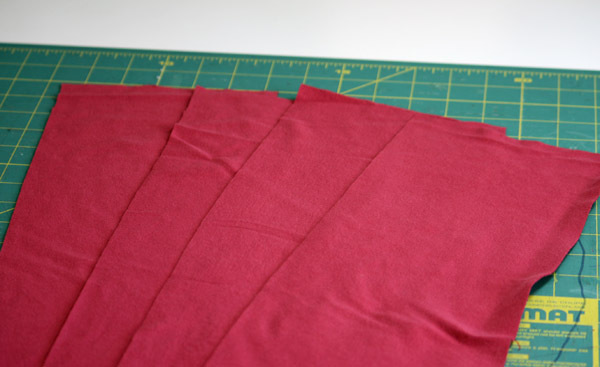 Once this is done, cut your strips open (this red shirt had inside seams, but the other one I used did not). 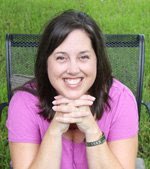 If your shirt has an inside seam or serged line, be sure to cut those off. Now this is where it gets really fun!! And you will be able to see how excited I got because I didn't take a picture mid-way through, but on the finishing end....sorry. 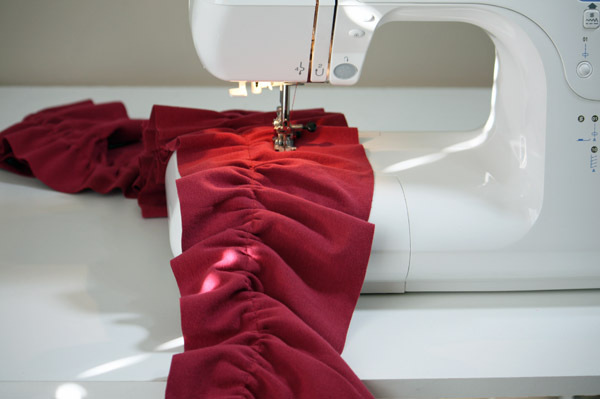 Once you have your t-shirt strips all sewn together (check that all your front sides match and that you didn't get one strip facing backwards) -- I wouldn't know anything about that of course -- you are going to change the settings on your sewing machine. You may need to get your machine's manual for this or not, I needed to. (1)Set your straight stitch setting to its highest (or longest) number, mine was set at "5.0" and (2)Set your tension level to its highest number, mine was set at "9". And now you are ready to finish your scarf. 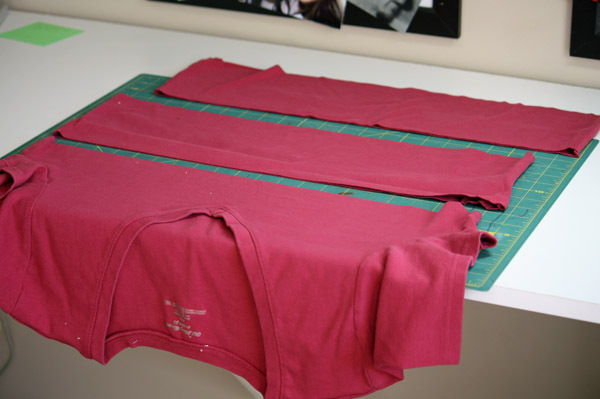 Measure the width of your t-shirt strip and decide where you want your gathers to be. I just eyeballed mine and spaced the stitch lines one inch apart. Begin sewing and sew a straight line all the way down the length of your scarf. 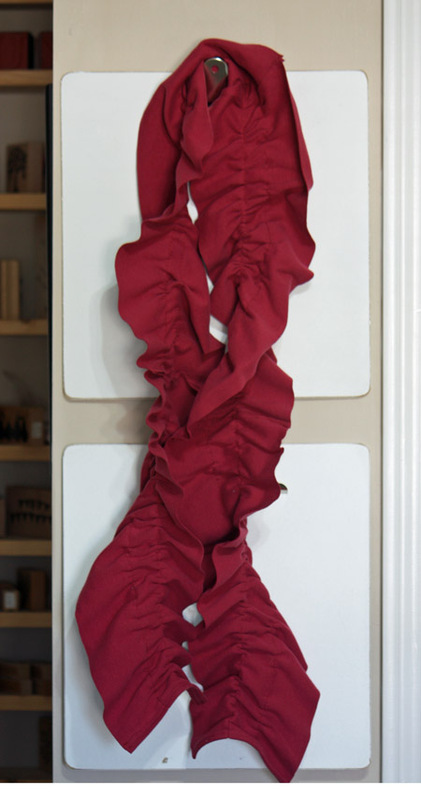 Your machine should automatically gather your material to create the prettiest ruffled look. After you get to the bottom of your scarf you are going to begin again at the top, move your scarf over (I had about an inch of space between my stitch lines) and repeat using the same settings on your sewing machine. To finish, I returned my machine back to its original straight stitch settings and sewed a small hem on the two short ends of my scarf. I had so much fun with the first scarf I grabbed another shirt and made a second one. I literally had these two made in less than 30 minutes. They were, by far, the easiest sewing project I've ever tried. So glad I finally jumped in and gave it a go!! came here from Apron Thrift Girl. Wow!! this is amazing and maybe I, the sewing-machine impaired, can rock this. What an incredible craft to upcycle using a simple t-shirt. I'm usually a straight stitch type of sewer though and worry about the gathering part. Is it because you changed your settings that it automatically gathered the fabric? I'd love to try this.